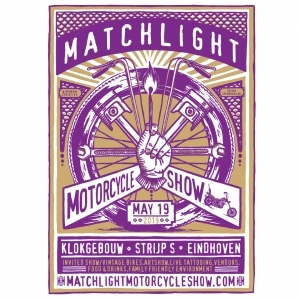 Event Description Matchlight Motorcycle Show is a Vintage/Custom Choppershow located in the city of Eindhoven, The Netherlands. Celebrating the culture and good times that comes with it. A sunday for all ages full of art, photography, vendors, food & drinks.